These are for use with A-Section (4L and A) and B-Section (5L and B) V-belts as well as pulleys. 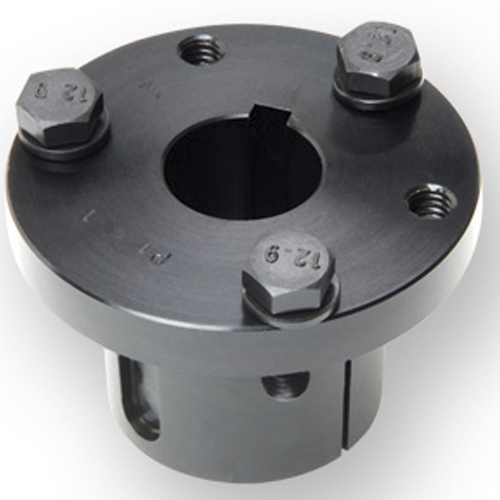 The solid flange and double-split barrel improve concentricity and provide strong clamping on the shaft. As you tighten the included cap screws, the bushing grips the shaft and draws into the pulley. The bushings have a 3° taper and are made of steel. Keyed to both the shaft and the hub to help during blind installations.